During the period from 4th July to 17th July, 2012, Japan International Cooperation Agency ( JICA ) held two training courses, Packing and Transportation in GEM-CC and Handling of Heavy Artifacts, to give participants with skills and knowledge of safe handling of precious collection of Ancient Artifacts. The courses were given by six experts from Nippon Express Co. who had long experience of packing and transportation with the National Treasures in Japan. The instructors finished teaching in saying that the method taught in the course needed to be adopted and applied as the base for trainees to develop their own skills of safe transportation. There need to be improvement to get their own way which may be better suited in GEM-CC. and therefore please do not spare efforts to find the way and learn every day each other. Thirty one Participants for the course have been selected by GEM-CC and at the end of the training, certificate of completion has been awarded to them. 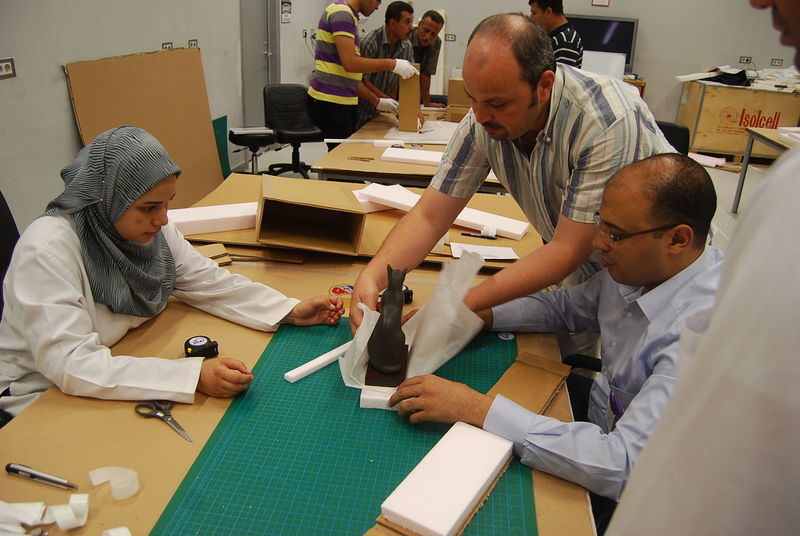 After this training course, the trainees became able to handle all kinds of small and medium size objects. It is designed as an advanced course for those who took the basic course previously. It aims to improve practical skills about handling, laying, parallel moving and placing at right places using stone about 1ton. It also continues to focus on the safety to work with them. In the training course of “Packing and Transportation in GEM-CC”, three persons who have the experience of having attended the training course before, were chosen as local instructors to support Japanese instructors to facilitate the efficient transfer of knowledge to the trainees. In the training course of “Handling of Heavy Artifacts”, after the revision of the past training contents which include safe clothing, the handling of overhead travelling crane, the assembly and dismantling of the gantry crane, the slinging of the objects and lifting using the overhead travelling crane, trainees were taught on other ways of slinging and lifting the artifacts using both of overhead travelling crane and gantry crane. Trainees were also taught how to lift the artifacts from the ground using the jack and to pull the artifacts from a place to another using the pulley and rollers. 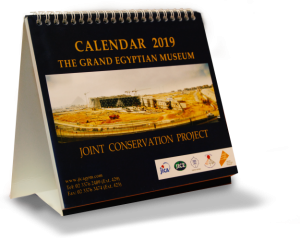 About 100,000 artifacts are planned to be transported to the Grand Egyptian Museum ( GEM ) from Egyptian Museum and other museums scattered all over Egypt, well in advance and after the completion of construction of GEM. 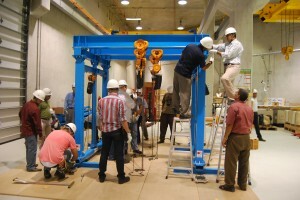 Among various artifacts, there are things which are too heavy to be handled by hand and require equipment such as gantry cranes and folk lifts, and which are too fragile to be transported with a plain packing method. Transportation is expected to start in earnest from September, 2012.